When the water level is at a certain point you can get some very unusual images like this image of a gate to nowhere at Coniston in the Lake District. 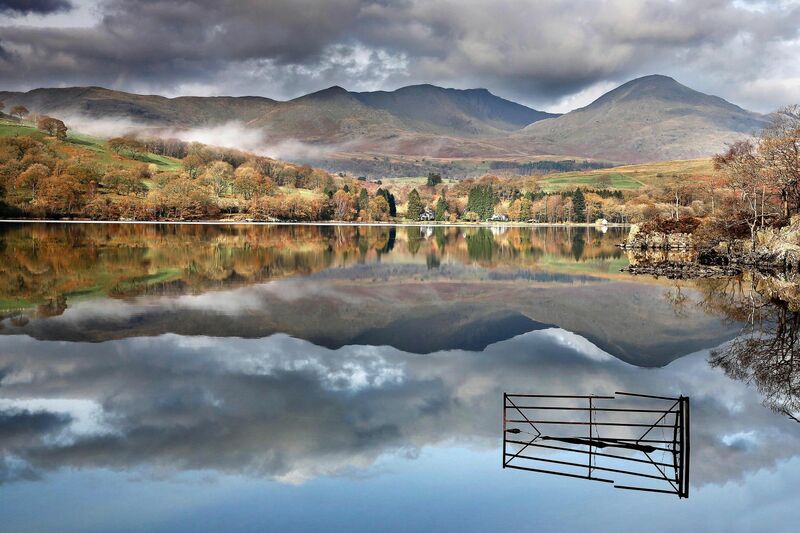 The mist was just rising off the lake and Coniston Old Man was standing proud above the village. A fabulous location especially in winter time when the clarity of light is at it's best.